I am frequently contacted by L&E hydraulic jack owners how to lower their jack. Commonly, they find the jack in the back of their garage and the first thing they do is pump it up without weight on it to see if it still works. The answer is to push the handle fully down through a restriction. This operates a pressure release piston. At the same time push down on the central lifting ram. In normal operation the weight of the car would apply this downward pressure. See home page for the supplier of L&E jack seals. 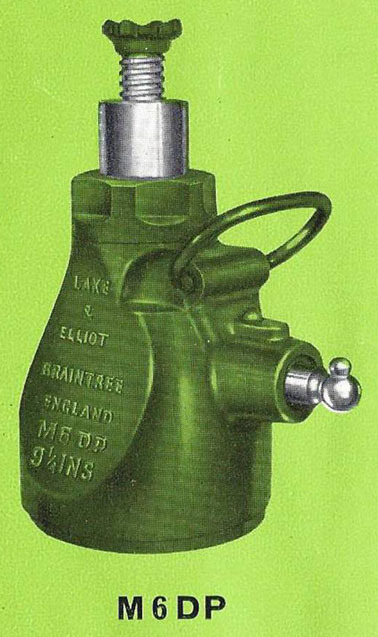 The Lake & Elliot Millennium range of jacks consist of the M1DP, M1DL, M1 1/2, M2, M4, M4DL/DP, M4DL, M6, M6DP, M6DL, M8, M10, M12, M20 and M35. In addition are the Millennium 12-MSB-1 1/2 and 17-MSB-1 1/2 hydraulic side-lift and bumper jacks. 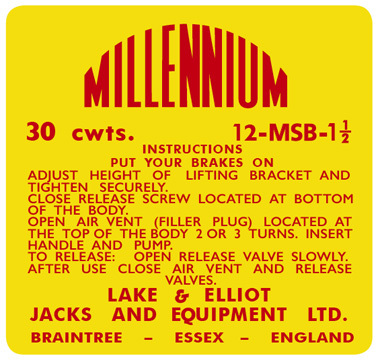 See also the S723, S794 (same as M20), S829 (same as M10), S929 and CV Hydro that are also listed as Millennium. 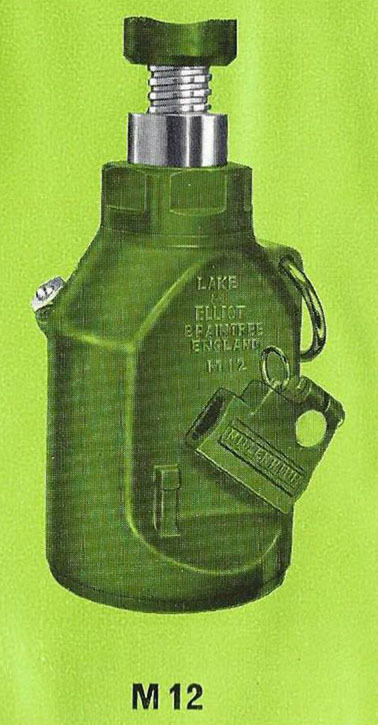 Graphic extracted from Lake & Elliot 1965 catalogue, courtesy of Pinto Ribeiro. The jack is a single hydraulic lift with a manual screw extension. 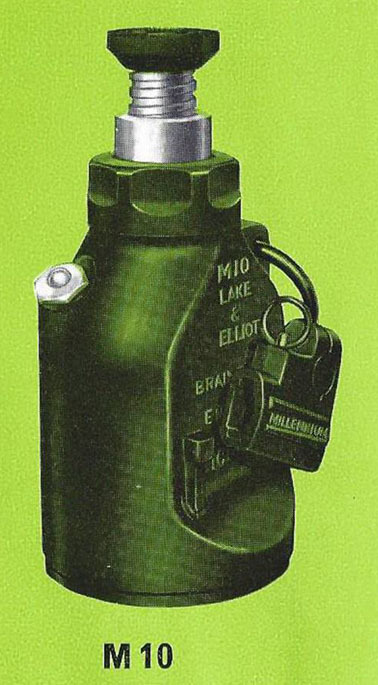 Cast MILLEX on one side and LAKE & ELLIOT MX5 5 TON on the other. It is 8.3" closed and 15.3" fully extended. Not Known but see MX5 above. 1 ton jack. 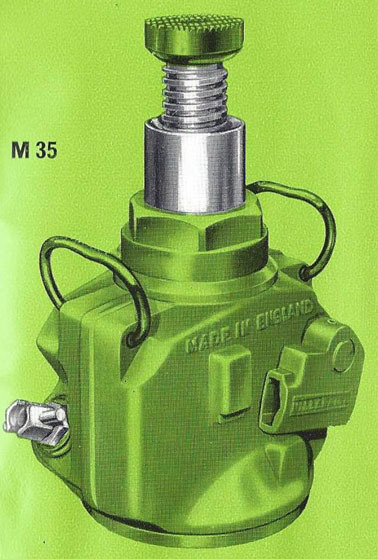 Single piston hydraulic jack with a single manual screw extension. 1.5 ton jack. 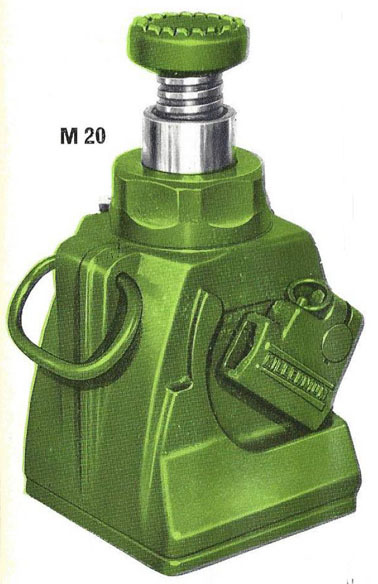 Single piston hydraulic jack with a single manual screw extension. It measures 6.75" closed with a 4.5" lift and a 3" screw extension. Photos of blue jack courtesy of Dalibor from Serbia. 1 ton, double lift for light cars. 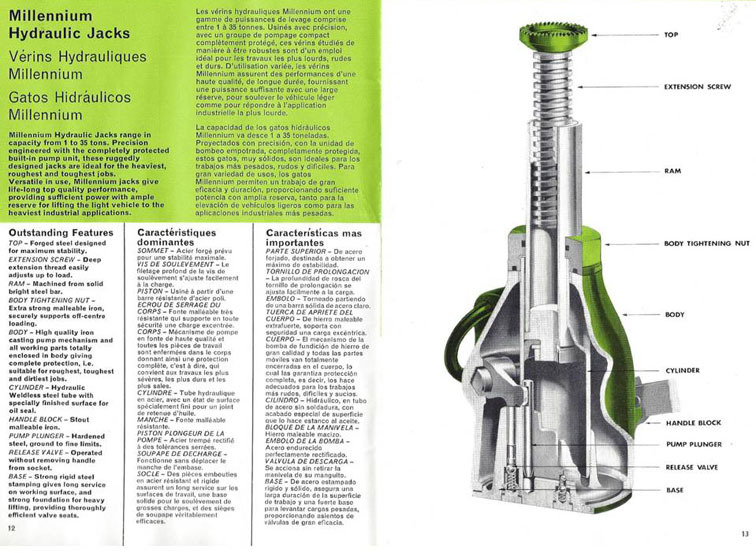 Single piston, dual pump hydraulic jack with a single manual screw extension. It measures 7" closed with a 4.75" lift and a 3 7/8" screw extension. Extended height is 15 5/8". It weighs 8.25lbs. 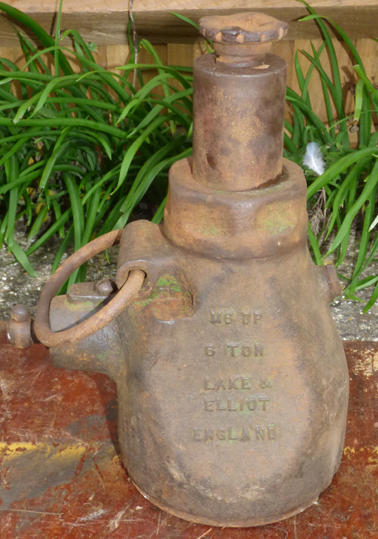 On one side it is cast LAKE & ELLIOT JACKS AND EQUIPMENT LTD and on the other 1 TON M1DP MADE IN ENGLAND. The schematic from their brochure shows different wording. 30" bar as shown in final picture. 1 ton, double lift for light cars. Double piston, single pump hydraulic jack with a single manual screw extension. It measures 5" closed with a 6.5" lift and a 2" screw extension. Extended height is 13 1/8". It weighs 11.75lbs. Aston Martin DB2/4. 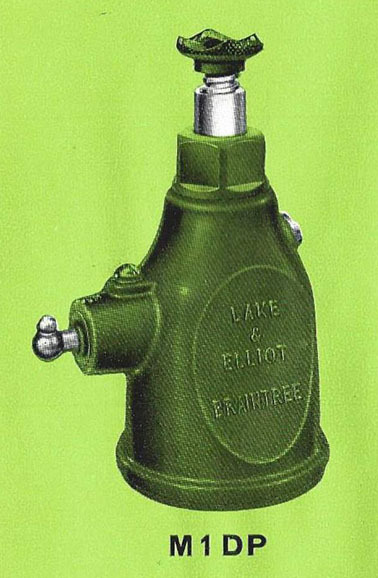 See the L&E S723 for the almost identical jack for the earlier DB2. As shown in the last 2 photos, 30" long. 1.5 ton for light cars. 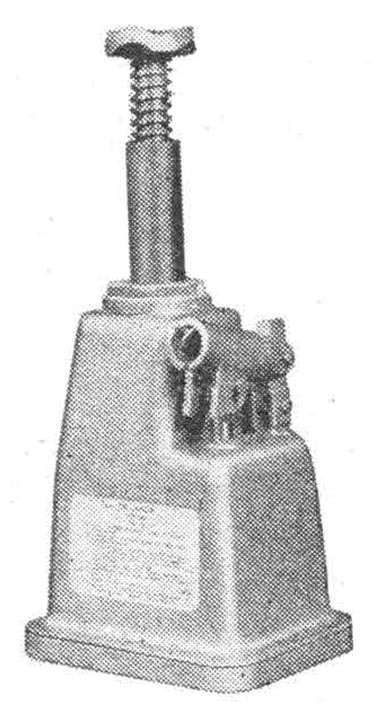 Single piston, single pump hydraulic jack with a single manual screw extension. It measures 6.75" closed with a 4.25" lift and a 3" screw extension. Extended height is 14". It weighs 9.75lbs. 2 ton for light cars. 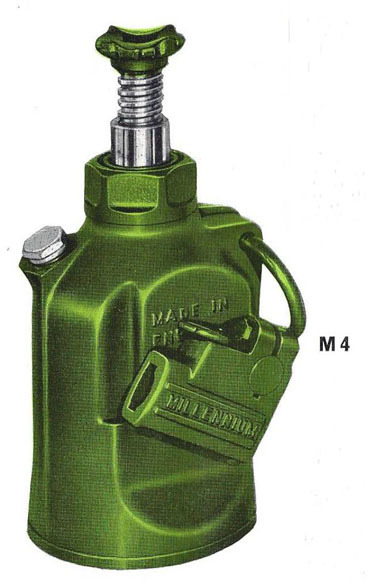 Single piston, single pump hydraulic jack with a single manual screw extension. It measures 8.5" closed with a 6.25" lift and a 2" screw extension. Extended height is 16.75". It weighs 16.5lbs. See also the S929 which is the same jack. 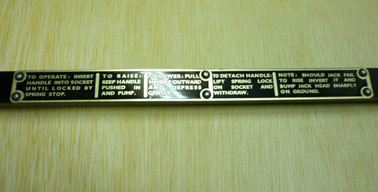 36" bar as shown in final photo. 4 ton, commercial vehicle jack. 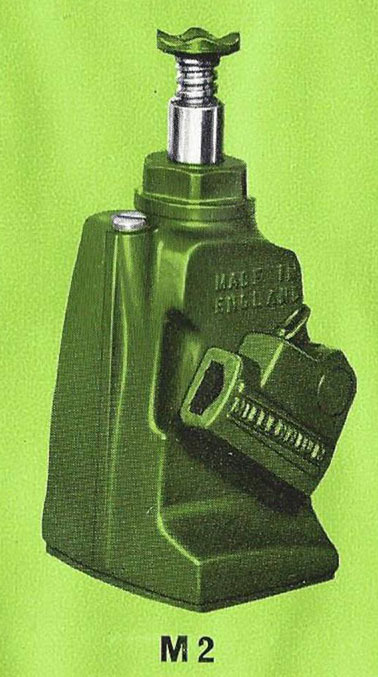 Single piston, single pump hydraulic jack with a single manual screw extension. It measures 9.25" closed with a 6.5" lift and a 5.4" screw extension. Extended height is 21 1/8". It weighs 23.75lbs. Red jack photos courtesy of Rick Burley in Australia. 4 ton, commercial vehicle jack. 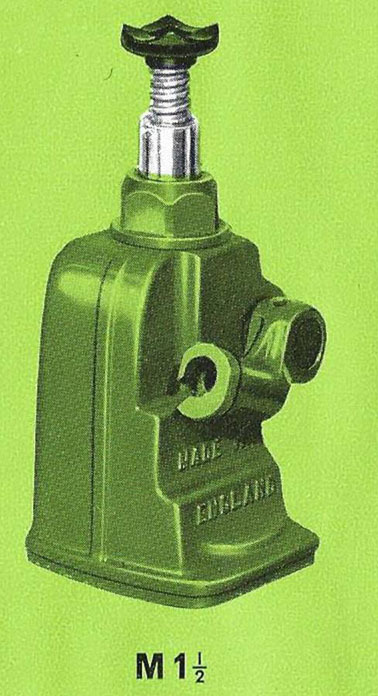 Double piston, dual pump hydraulic jack with a single manual screw extension. It measures 8.75" closed with a 10 3/8" lift and a 3" screw extension. Extended height is 22 1/8". It weighs 35.25lbs. 4 ton, commercial vehicle jack. Double piston, single pump hydraulic jack with a single manual screw extension. It measures 6.75" closed with a 6.75" lift and a 1.5" screw extension. Extended height is 15". It weighs 25.25lbs. 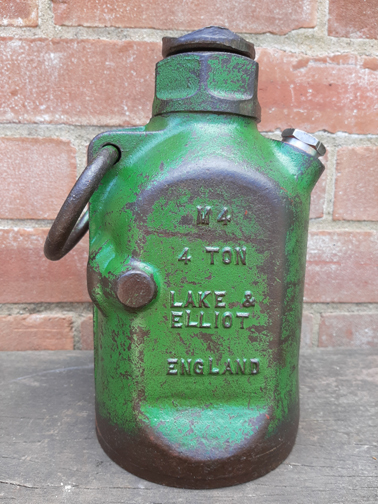 the second picture shows the casting M4DL2 4 TON LAKE & ELLIOT ENGLAND. 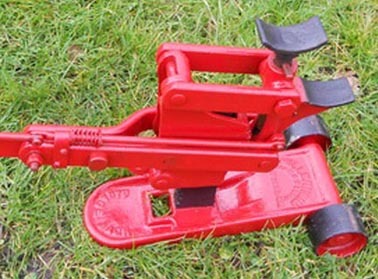 6 ton, commercial vehicle jack. 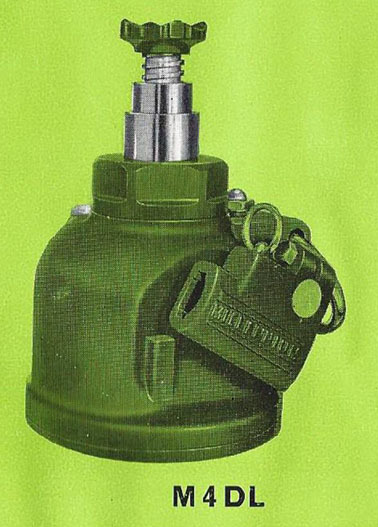 Single piston, single pump hydraulic jack with a single manual screw extension. It measures 9.65" closed with a 6.5" lift and a 5.4" screw extension. Extended height is 21.5". It weighs 31.25lbs. 6 ton, double lift for low axle cars. 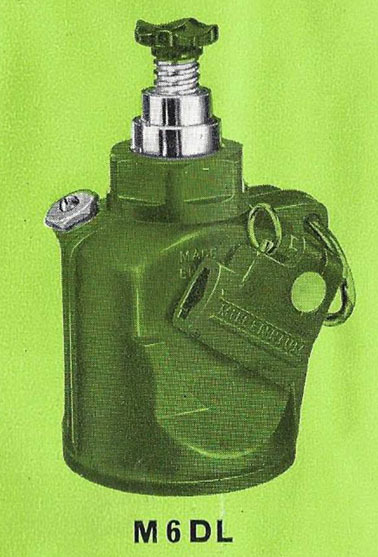 Single piston, dual pump hydraulic jack with a single manual screw extension. It measures 9.25" closed with a 6 1/8" lift and a 4.5" screw extension. Extended height is 19 5/8". It weighs 34.75lbs. The final picture shows what appears to be a date stamp; possibly 11/3/64. I am awaiting clarification. The S343A looks remarkably similar. 6 ton, double lift for low axle cars. Double piston, single pump hydraulic jack with a single manual screw extension. It measures 8.15" closed with a 8.75" lift and a 2.5" screw extension. Extended height is 19 3/8". It weighs 34.75lbs. 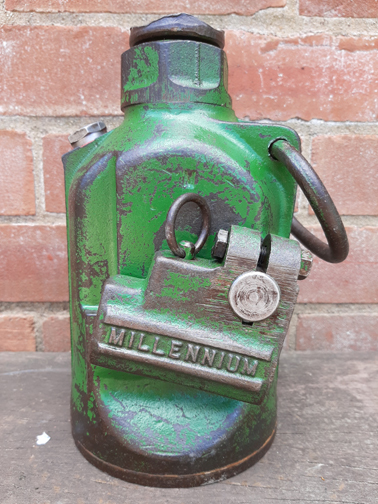 8 ton, commercial vehicle jack. 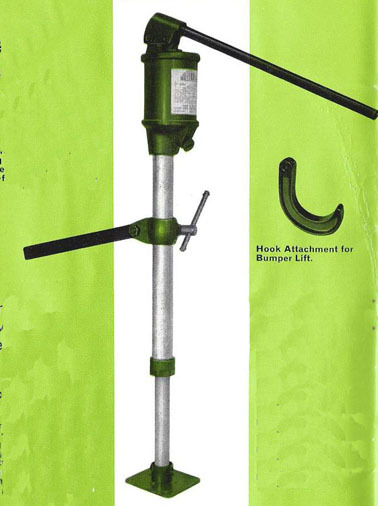 Single piston, single pump hydraulic jack with a single manual screw extension. 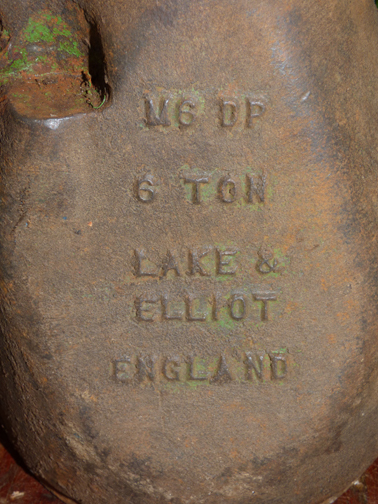 Cast on one side M8 8 TON LAKE & ELLIOT ENGLAND. 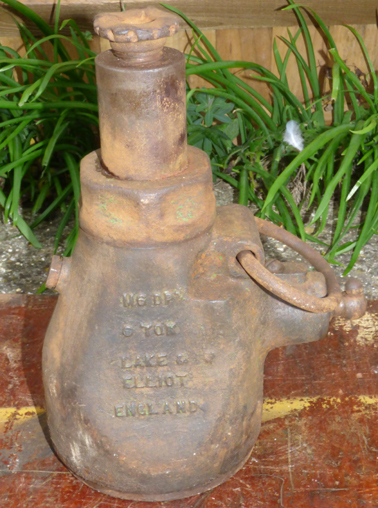 On the other MADE IN ENGLAND. It measures 10.15" closed with a 7" lift and a 5.1" screw extension. Extended height is 22.25". It weighs 37.75lbs. 36" bar as shown in last photo. 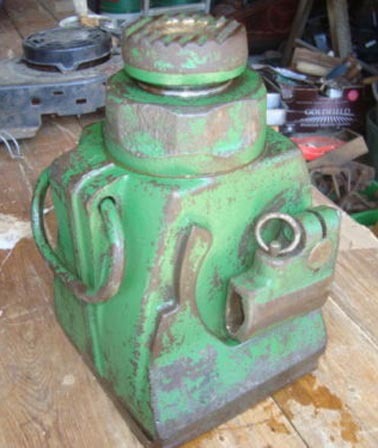 10 ton, commercial vehicle jack. 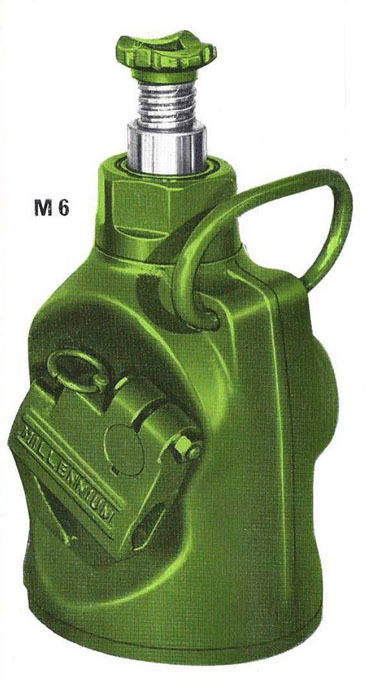 Single piston, single pump hydraulic jack with a single manual screw extension. It measures 10 1/8" closed with a 7" lift and a 5 1/8" screw extension. Extended height is 22.25". It weighs 38.75lbs. 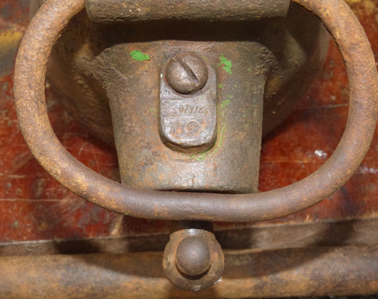 See also the S829 which is the same jack. 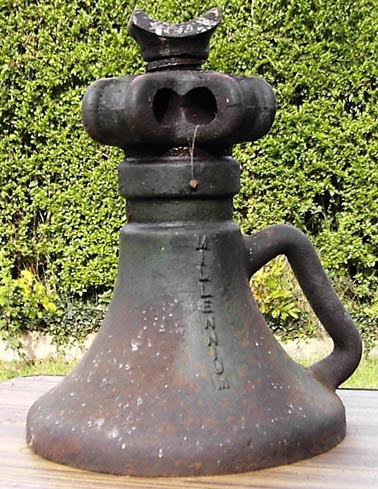 12 ton, commercial vehicle jack. Single piston, single pump hydraulic jack with a single manual screw extension. It measures 12.5" closed with a 7 7/8" lift and a 6.5" screw extension. Extended height is 26 7/8". It weighs 55.75lbs. 20 ton jack for the heavy civil engineering jobs. 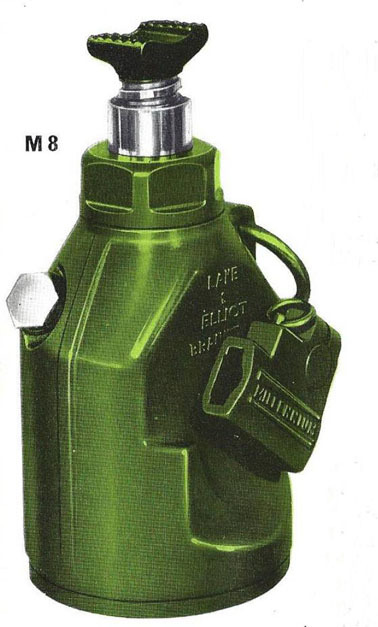 Single piston, single pump hydraulic jack with a single manual screw extension. It measures 10.5" closed with a 6.25" lift and a 4.25" screw extension. Extended height is 21". It weighs 55.75lbs. See also the S794 which is the same jack. 35 ton jack for the heavy civil engineering jobs. 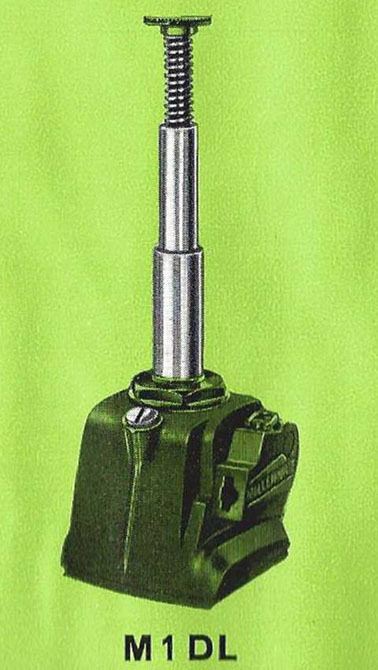 Single piston, single pump hydraulic jack with a single manual screw extension. It measures 10" closed with a 6.25" lift and a 3.75" screw extension. Extended height is 20". It weighs 82.5lbs. 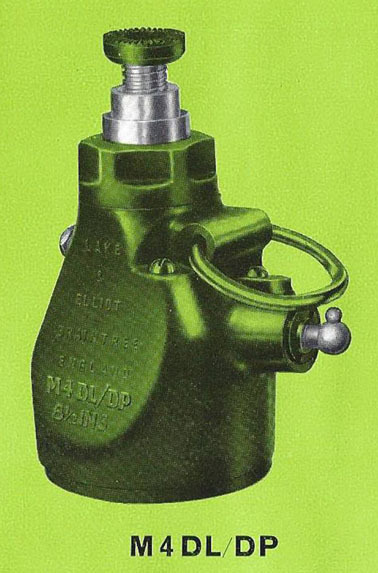 The jack is a Millennium 12-MSB-1 1/2, with a 30cwt lifting capacity. It is 22.5" high when closed and 34.5" extended; the base is 3.5" square, but a 6" square base was available from L&E as an optional extra. The jack weighs 13lbs. It has a 1/2 pint oil capacity. 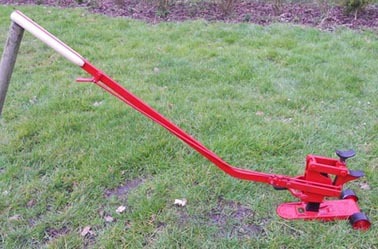 A slightly larger version of the jack was also available. known as the Millennium 17-MSB-1 1/2. It is 28.5" closed and 45.5" extended. Photos and information courtesy of Mark Seligman. The labels in the 3rd and 4th photos show the original and the reproduction made by Gerard Brands in the Netherlands. Labels can be supplied. Contact me for Gerard's email. As shown in the last 2 photos , 14" long. Label for the handle can be supplied. Contact me for Gerard's email. Only details as shown in the pictures. The adhesive label is missing. Information required. The jack is cast with just the one word - MILLENNIUM. It is 10" closed. The base is 8.25" diameter. Photo and information courtesy of NewMoody. 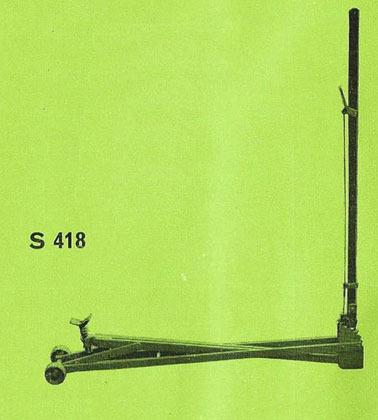 The S418 is a 9 cwt trolley jack with a manual screw. It measures 5" closed and 13.75" open. 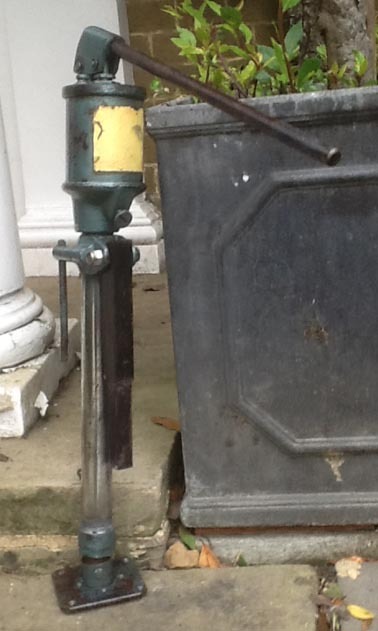 The handle is 45" long and the jack body also 45" long. 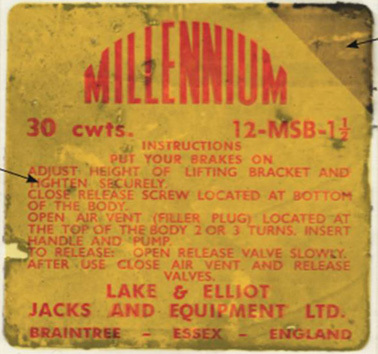 A Midas trolley jack cast with MIDAS LAKE & ELLIOT BRAINTREE. Only other details as shown in photos. As shown in photos, courtesy of Andy Pownall. 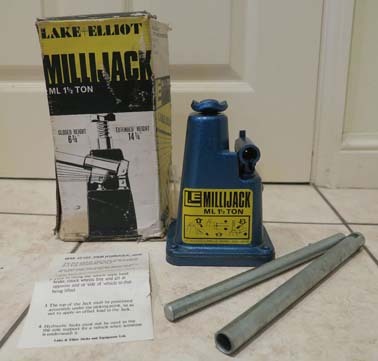 The jack label says Lake & Elliot A80 5 TONNE TROLLEY JACK. Only other details as shown in the photo. Only details as shown in the photos. Looks a bit dangerous to me!